Since the theme for this month’s travel link-up is souvenirs, I thought I’d share some of the meaningful mementos that Michael and I have collected on our travels. 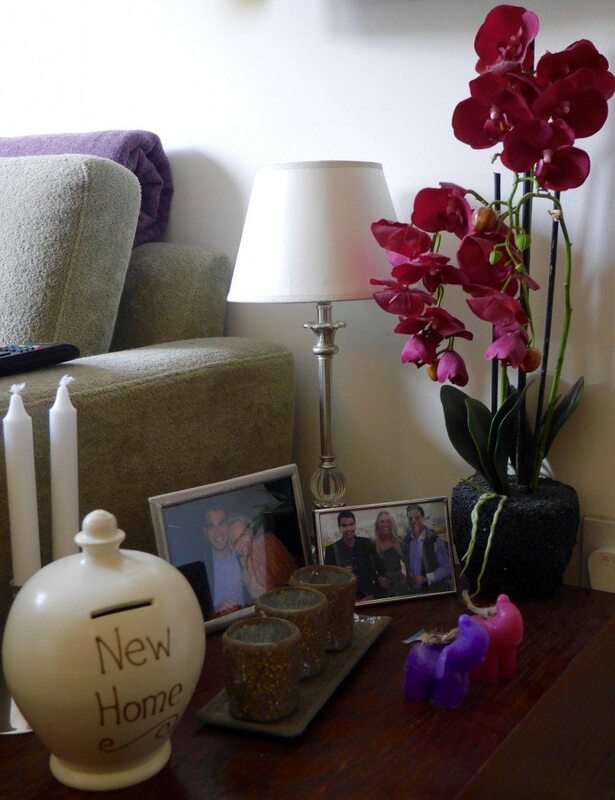 Since both of my parents have lived in many countries around the world, and have respectively chosen to decorate their homes with all sorts of authentic & beautiful items that they have bought along the way, I have grown up surrounded by ‘souvenirs’, which is a style that I have really grown to love and, as a consequence, want to replicate in my own home. Hence our own mini collection was born. 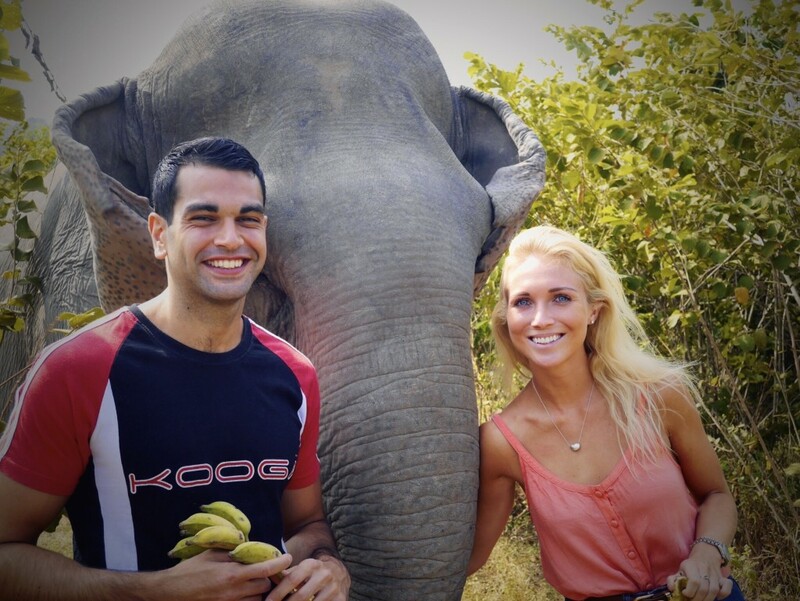 The first souvenir that we ever bought together was this hand-sewn elephant tapestry. It has huge meaning to me as we bought it before we lived together, for our future home. It sat folded up in my parents’ house for 6 months until we finally moved into the flat, and reminds me of how sure we both were that we would soon live under the same roof. Aside from it’s sentimental value, I also just think it’s absolutely beautiful. 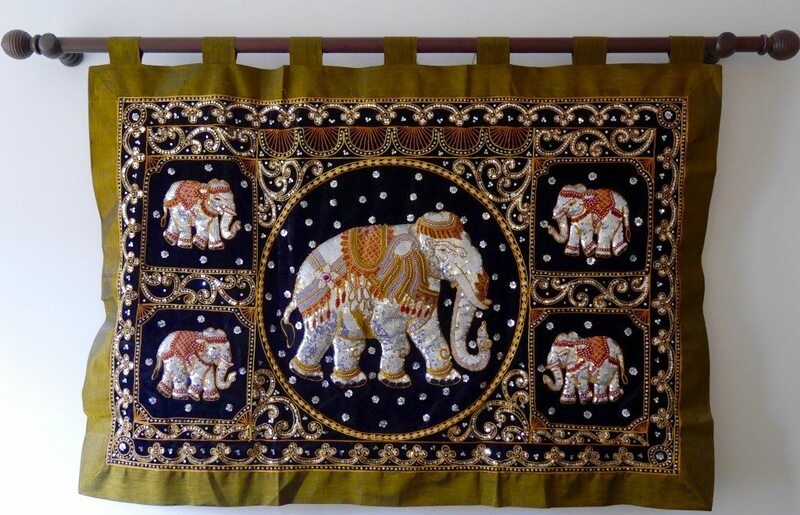 Elephants are my all-time favourite animal (I kind of lose myself when it comes to Nelly’s), and this tapestry is truly a work of art in real life, with incredible detail, stitching & cushioning. It’s also a reminder of a huge personal bargaining achievement, as I bartered it down from £100 to £30 over the period of 3 days in a backstreet night market in Phuket, Thailand. 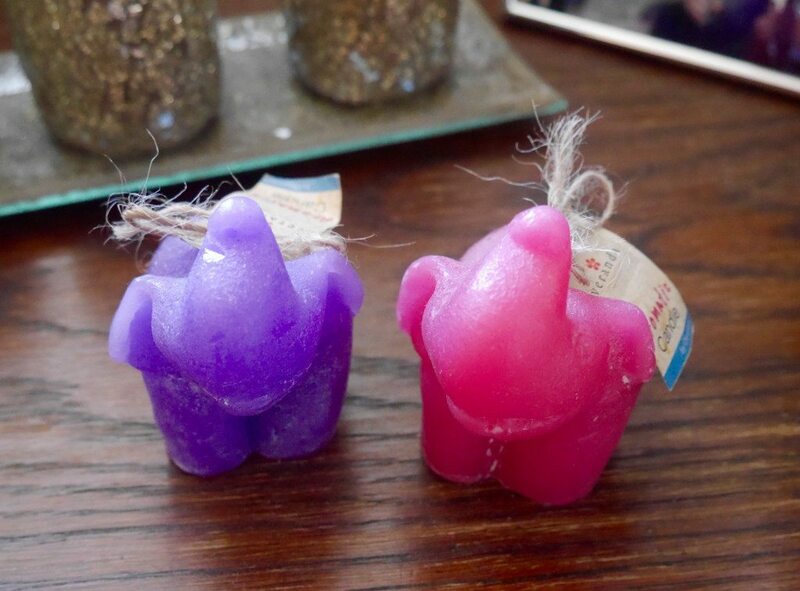 Sticking with the elephant theme, we also have two hand-crafted elephant candles from our recent stay with my parents this Christmas just gone at the Veranda Resort & Spa in Hua Hin, Thailand. 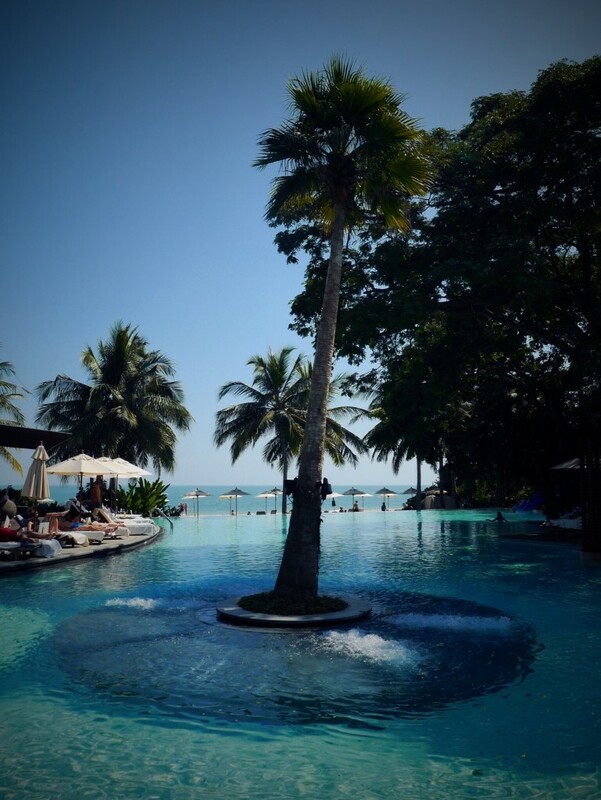 Every time I see them I am reminded of the gorgeous boutique hotel, our luxurious villa, the beautiful infinity pool, the impeccable service, and all the fun that we had. 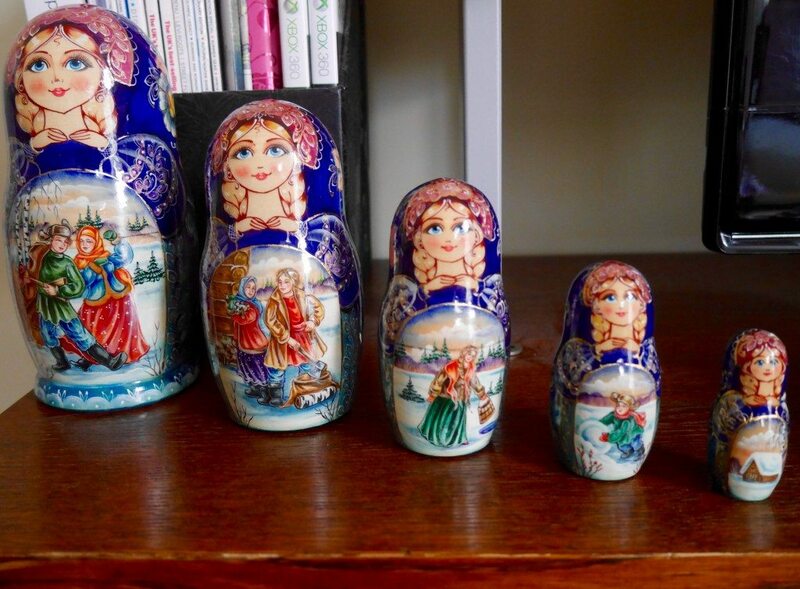 Then there are the Russian matryoshka dolls that Michael and I bought in Moscow. I absolutely love these dolls, which we spent hours & hours choosing. As I’m sure you can imagine, there are a tremendous amount of patterns and price categories to choose from, but I’m still so pleased with the choice that we finally made; I personally think they’re so beautiful. 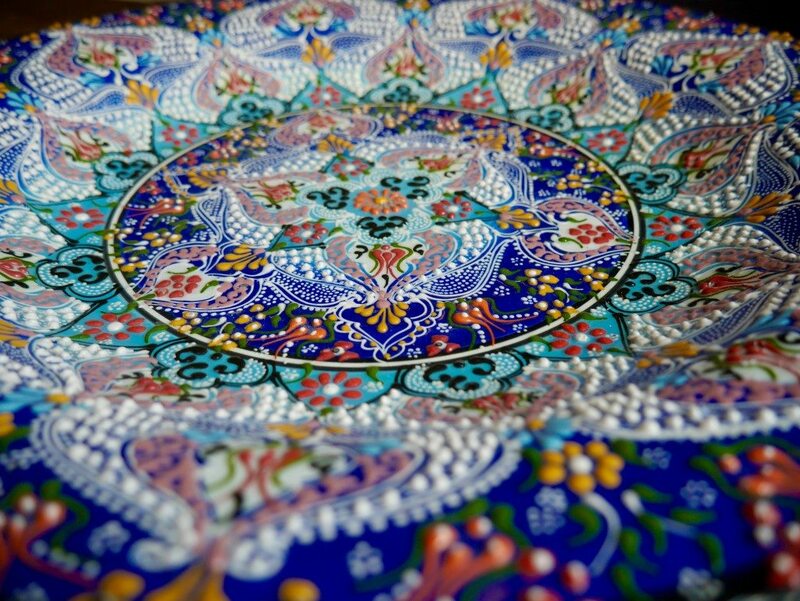 Sitting proudly atop our coffee table is a hand-painted ceramic Turkish plate with Ottoman design. The sight of it transports me right back to the bustling Grand Bazaar in Istanbul, where we fought hard for the price that we eventually paid. 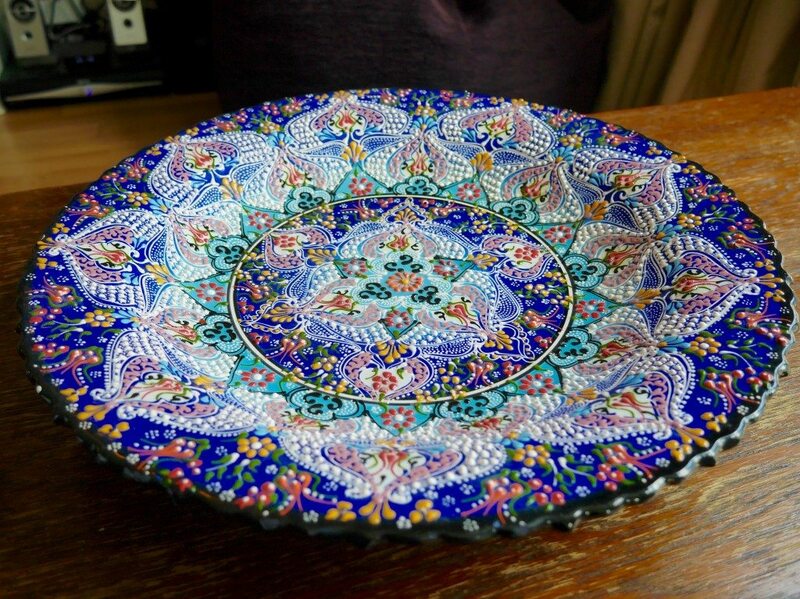 We both love the colour blue, and fell immediately in love with this plate due to all the different hues of blue that it incorporates, and its intricate, immaculate detailing. 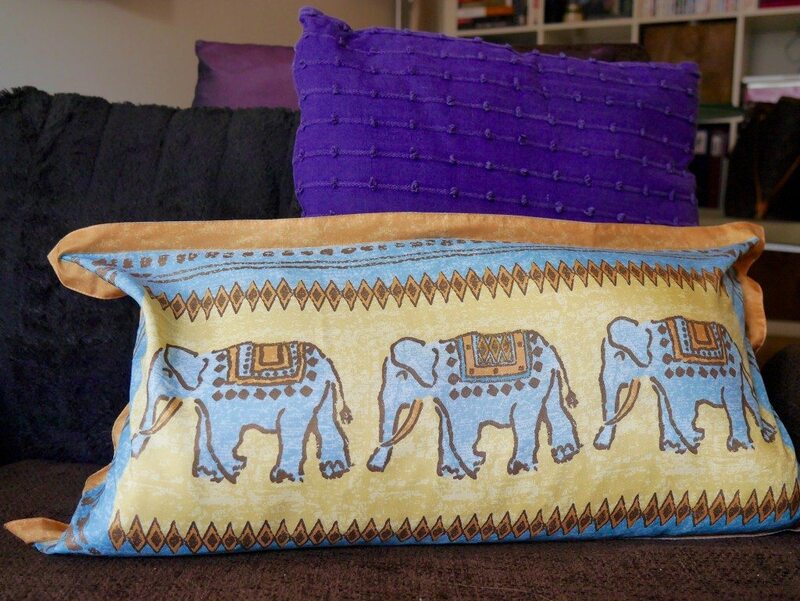 Back to elephants, I am a bit of a cushion lover, and there is a certain pillowcase from Jim Thompson, a renowned Thai silk designer, that we bought in Phuket a few years ago, which takes up half of our armchair but makes me so incredibly happy. 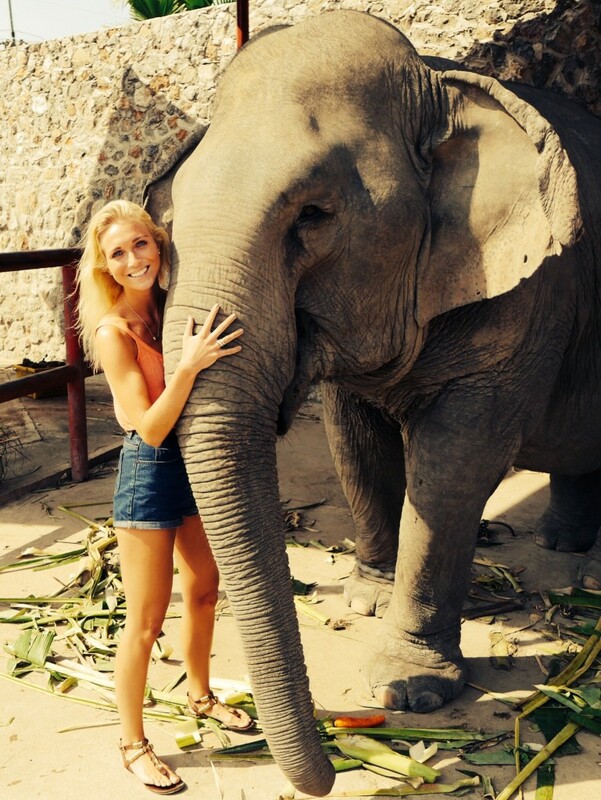 Again, as a lover of blue & elephants, to me it is the perfect pillow! 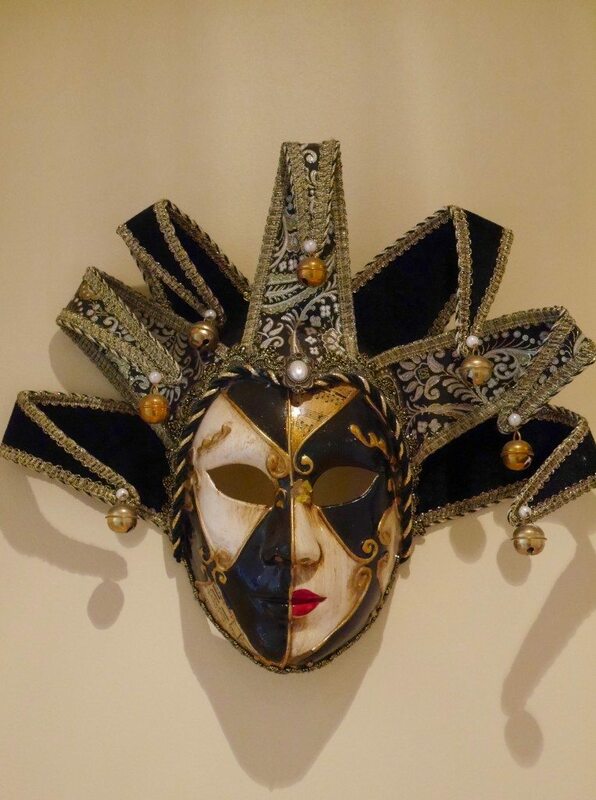 In our corridor hangs an authentic Venetian mask, which we haggled hard for in the narrow streets of Venice on a blisteringly hot summers day. 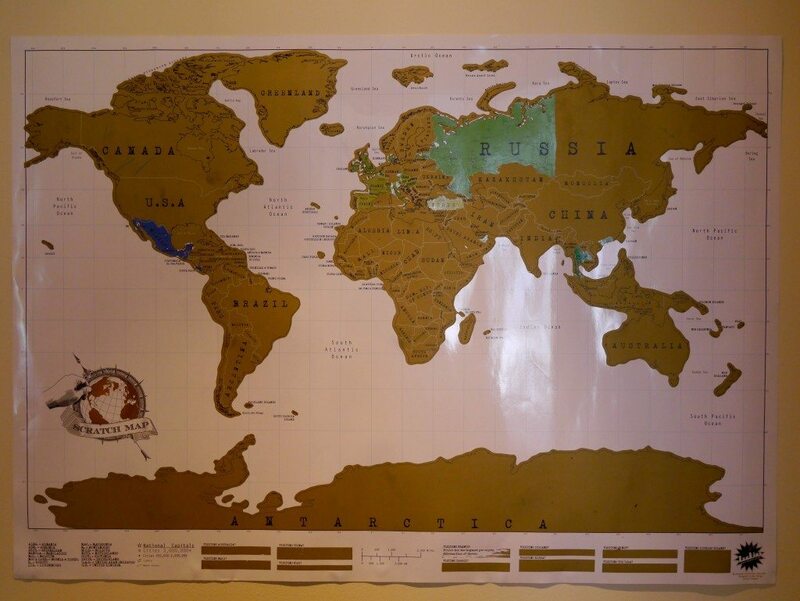 On a different stretch of the wall is our world scratch map, which we’ve had since the start of our relationship, and have scratched off all of the countries that we have visited together… Not bad for 3 and a half years (most of Europe is scratched), but we’ve got a long way to go! 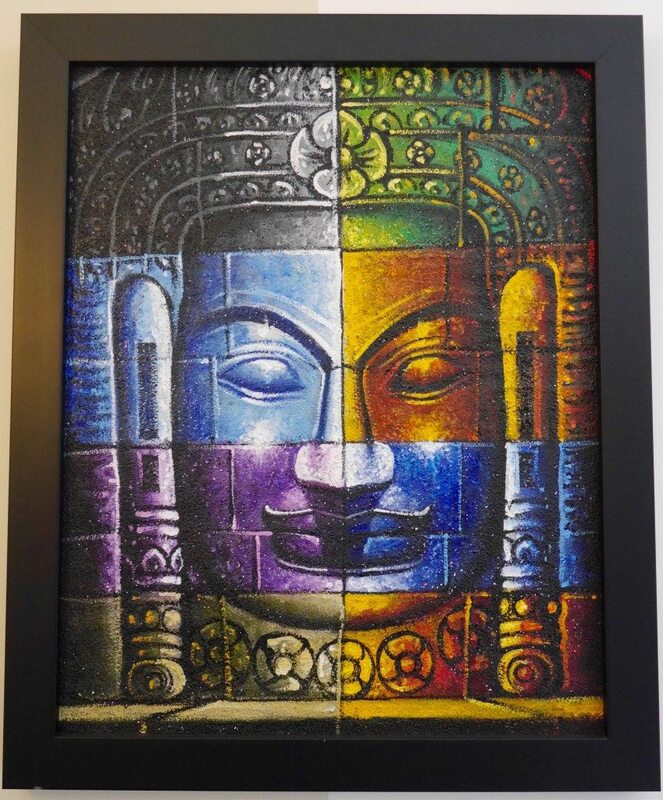 In the living room hangs, what I consider to be, a really stunning oil canvas painting of a Khmer (Cambodian) man, which I bought as a gift for Michael in Phnom Penh, Cambodia, whilst I was travelling South-East Asia and we were apart for 4 months. I absolutely adore the combination of colours and the use of glitter. To me, it is a beautiful painting, and a memory, and thus far better than any Picasso, particularly as it cost me all of £5! 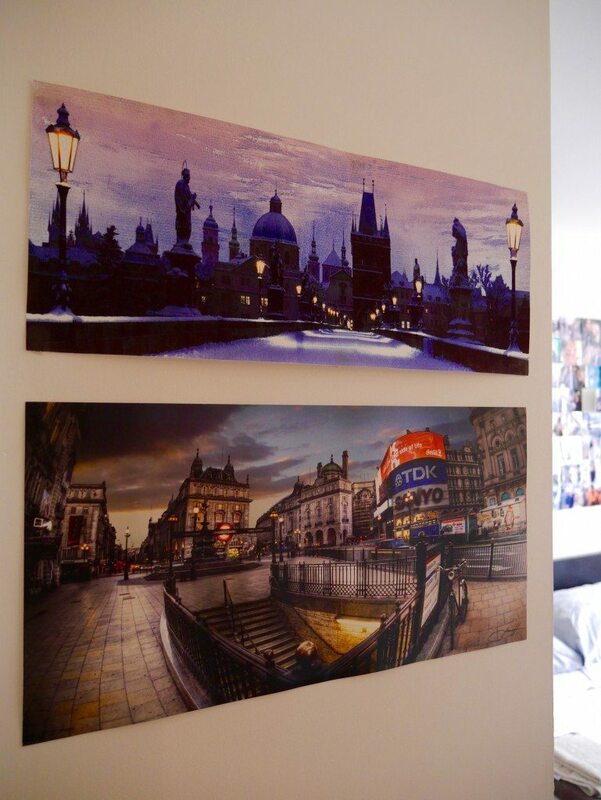 At the entrance to our bedroom are two hand-painted pictures, one of the Charles Bridge in Prague at Christmas time (possibly one of the most beautiful & picturesque places that I have ever been), and one of little old local Piccadilly Circus, just because, which I guess actually also ties in with the theme of this post, since it’s the stomping ground for all foreign tourists and full of tat souvenirs! 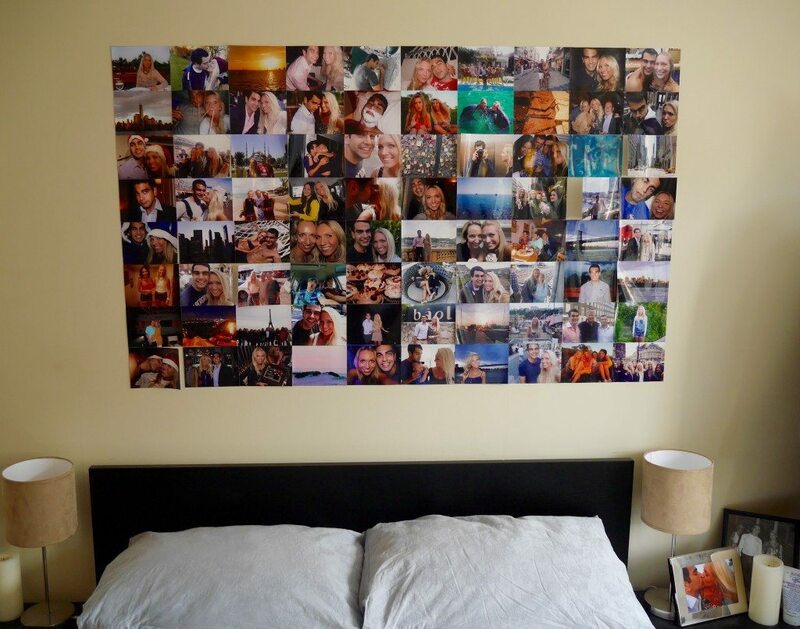 Finally, above our bed is a collection of photos from various trips and events that we have been to. Photos are my all-time favourite souvenir, and I am known amongst my friends & family for always having my camera at the ready and taking one too many pictures, but I make no apologies for it, because, for me, there is no better way to capture a memory than a photo. 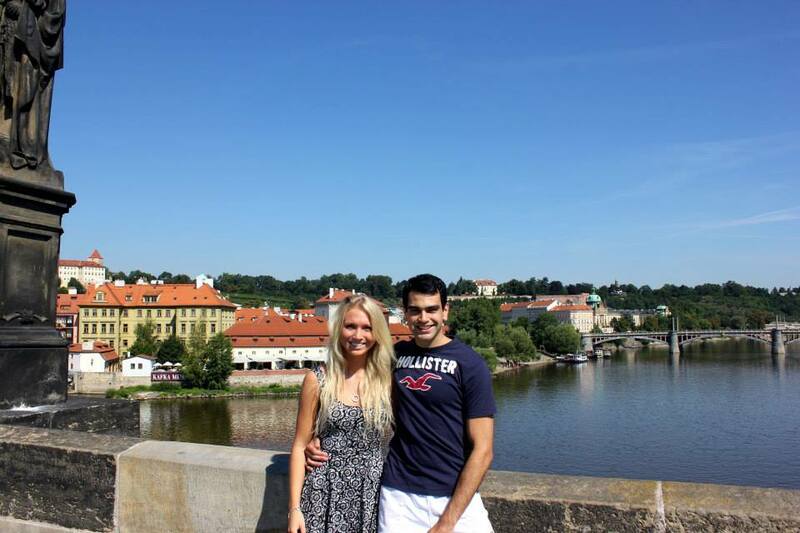 I hope you enjoyed that little whirlwind tour of our home & all my favourite souvenirs. 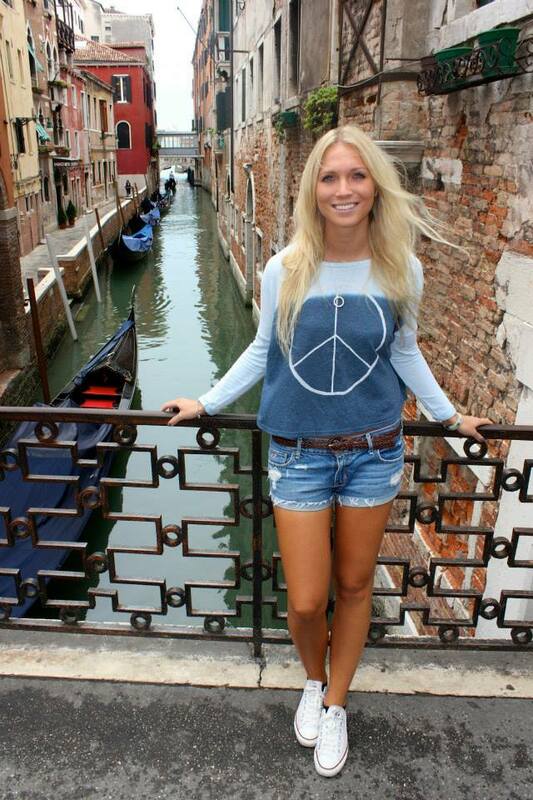 Andrea, these are all so beautiful! Hope gorgeous are those little dolls, hope you don’t mind me saying but I think they look just like you! And that Turkish plate is amazing… I’m not a souvenir collector but it reminds me of the time in both Oaxaca and Chichen Itza where I was very tempted to get some beautifully painted dishes but we were halfway through a 4 month trip with very limited luggage space! I’m still a little sad about it! I seriously need to get around getting me one of those scratch maps! That Turkish plate is so beautiful!